Woohoo! 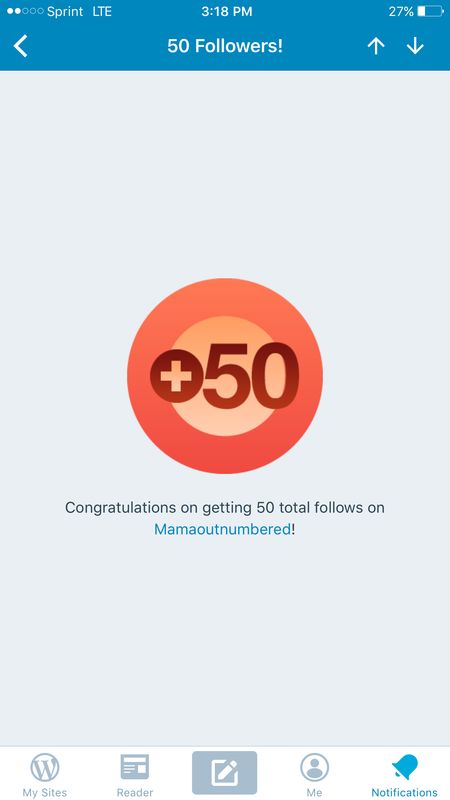 It only (lol) took three months but I have 50 followers now! It’s exciting that 50 of you find me mildly entertaining. Thanks for the support guys! Yayy!! 100 very soon. I hope you would love to visit my blog posts. Any comments and any suggestion will be helpful in growing traffic like you did.